As the sunshine makes more of an appereance here in the UK, my hair starts to loose a bit of life. It was time to turn things around and make it not only look healthy but also feel better. 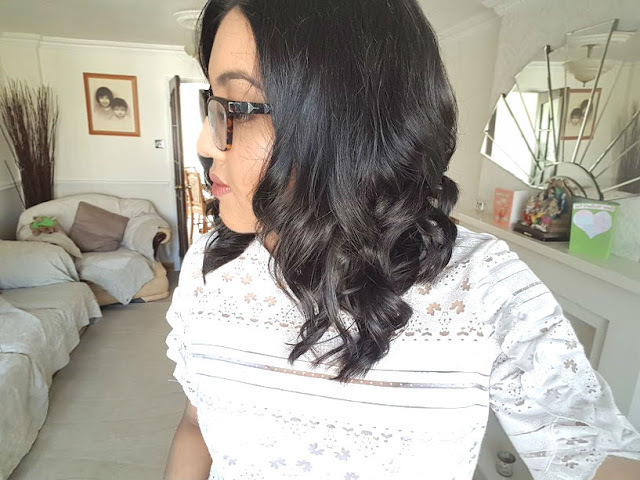 Argan Oil might just be the holy grail hair product for everyone and after reading this post, I hope you're inspired to try it out because let me tell you, it isn't called liquid gold for the hair for no reason. Argan oil comes from the Argan tree in Morocco. The fruit is so nutritious and inside the fruit is the little nut from which Argan oil is produced. For centuries, it has been used for healing as well as for enhancing beauty. It is rich with vitamins A, C and E, as well as being loaded with antioxidants. 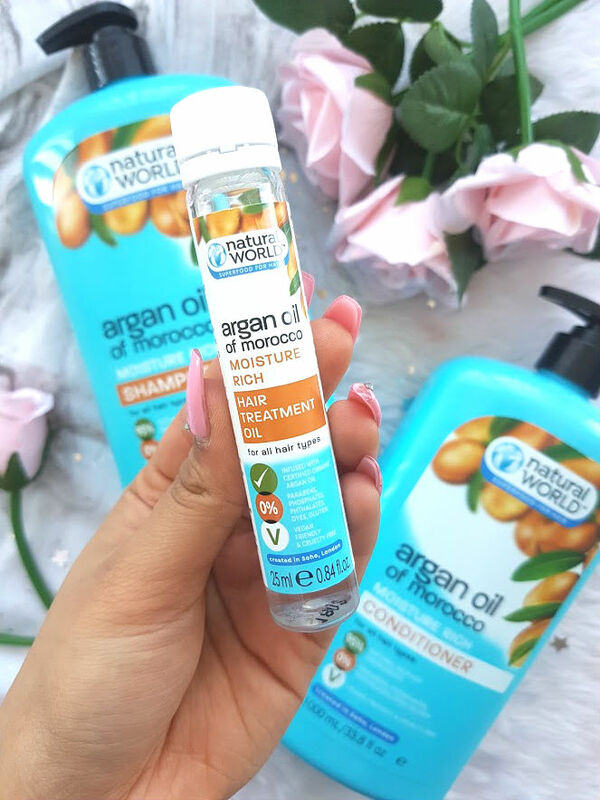 The particular oil that I have been using is from Natural World*, this is the smalller bottle but I have just hunted the bigger bottle down in Tesco because I am slightly obsessed. The best way I found to use this is to apply to my hair after washing and before drying/setting. It has not only helped with dryness but the horrible split ends that I had inbetween hair cuts were much less visible. Another way to use the oil when in its purest form is to use to style the hair and tame frizz. Taking the tiniest amount and running it through your hair. The hair stylists who do celebrity hair dos, use this to give a gorgeous shine to the hair. My hair in the picture above, was done at the hairdressers and she always finishes off with argain oil to give my hair such a shine. argain oil is just as beneficial. 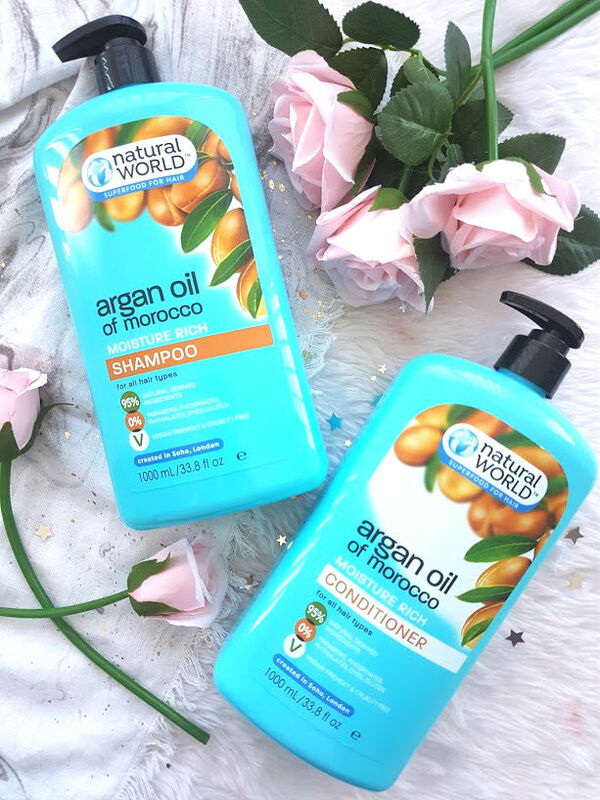 Argan oil is the key ingredient in this shampoo from Natural World* and it is because of its ability to restore softness, strength and shine to the hair. If you are someone who suffers from brittle, damaged or dry hair then this is ideal for you. I adore how this smells and how it lathers up so quickly. Since using this every time I wash my hair, I can feel that my hair is so much softer. My brother and my mum are now also using this shampoo because of how it makes the hair feel. Argan oil makes an excellent ingreident for a conditioner, which prolongs the amazing effects on hair. This conditioner makes my hair so soft and sleek and adds extra shine.Unlike other conditioners that I have used in the past, it absorbs easily and does not leave any greasy residue. I have hair that gets very greasy quickly, so using conditioner isn't something that I apply all the time but this is just too good to miss out on. This amazing range from Natural World, it available to buy in Tesco! 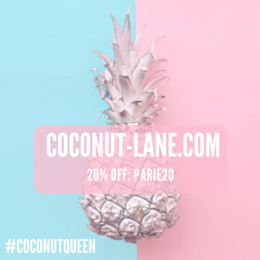 At the moment, there is also an offer on all the products so you can have healthy hair for less! Are you a fan of argan oil?